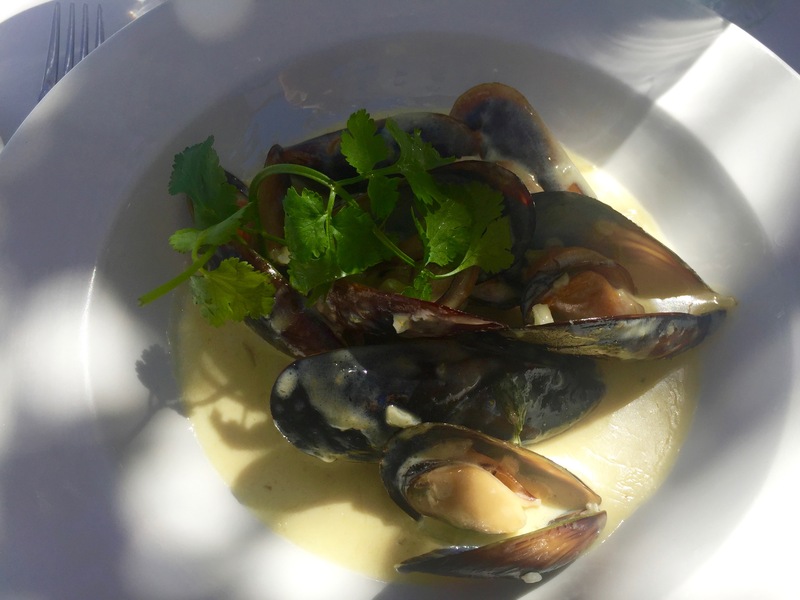 Today I’m continuing on my quest to explore the restaurants of the Winelands around Somerset West. We’re visiting beautiful Avontuur for a spontaneous light lunch. Nothing wrong with that. 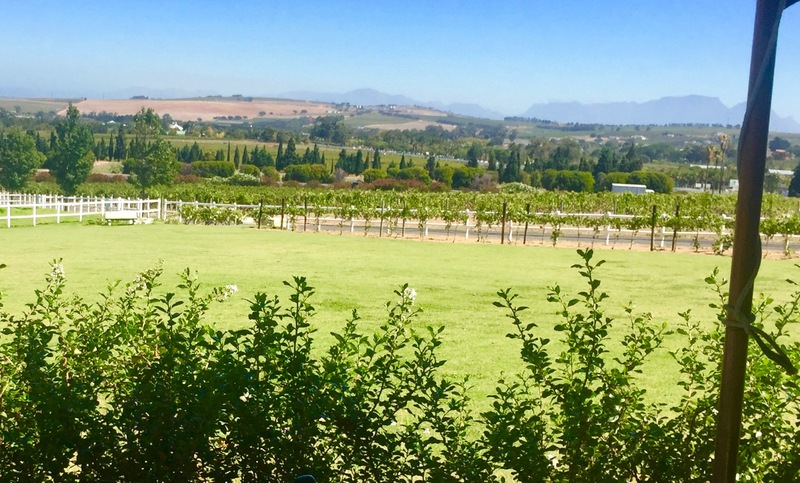 Avontuur has a sweeping drive that leads up between two fields enclosed by white picket fences and home to families of horses. 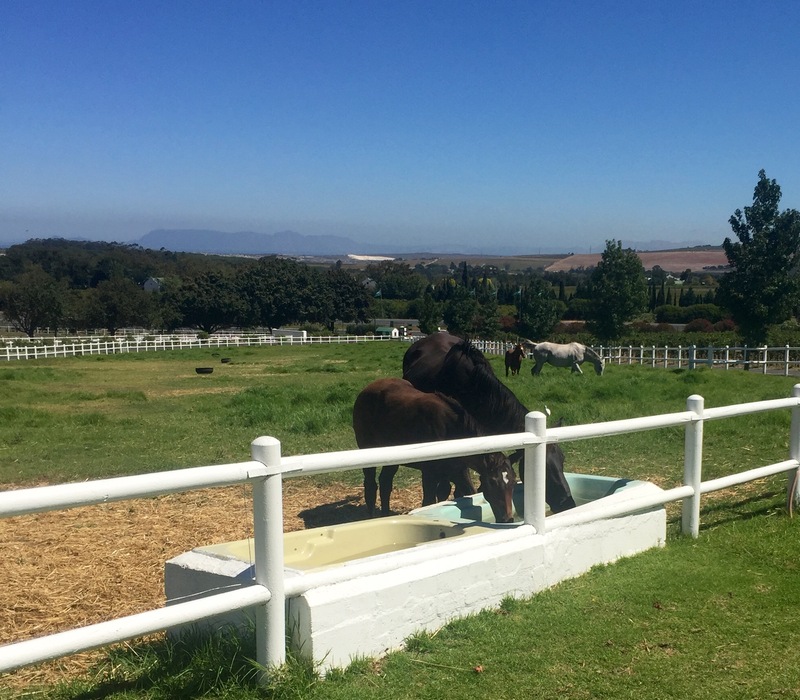 In fact, as well as for its wine, it’s known as a thoroughbred stud farm – and is home to about a hundred horses. We saw three mothers with their foals in the field just in front of the restaurant. A beautiful sight. The horse/wine combination seems popular – read about our visit to Cavalli by clicking here. 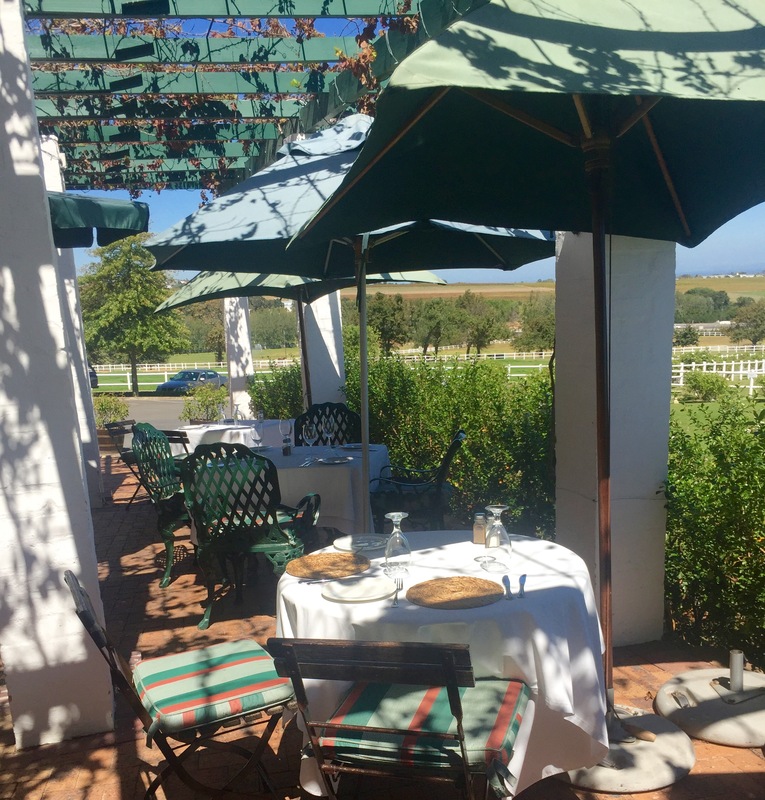 Avontuur has a lovely verandah/terrace area set out with tables looking out across the fields and vines towards Table Mountain. Beautiful, dappled light shades the tables and we were soon settled and perusing the menu. There’s a good choice of salads, fish and meat dishes – today we were tempted by the specials. First up, mussels in a Thai-style sauce. Simply a match made in heaven. The mussels were amazingly succulent and sweet paired beautifully with the creamiest of Asian sauces. One of those dishes where I wanted to lick the bowl. So yummy! The hake was served with a crunchy crust on a coconut sauce. 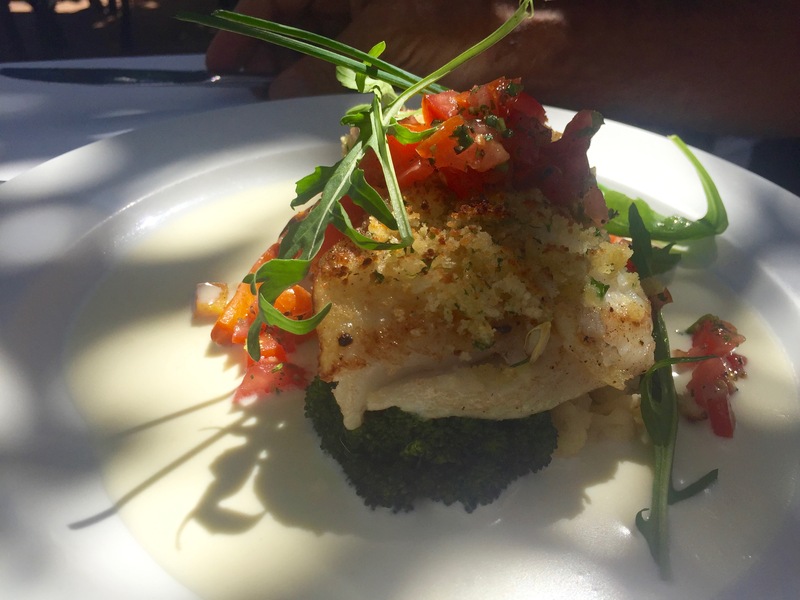 South African hake is delicious and the flavours and textures of this lovely tower were delightful. And here’s another lovely sight – the horses and their foals happy in the field in front of the restaurant. Lunch for two (one course each) with a bottle of wine cost R44o (about £28 at today’s exchange rate), including a tip. Avontuur is just off the R44 between Somerset West and Stellenbosch.